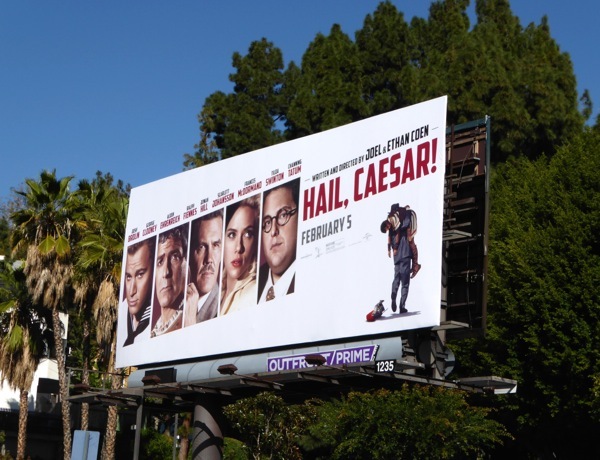 This weekend Joel and Ethan Coen travel back to past for their latest offbeat big screen comedy, Hail, Caesar! 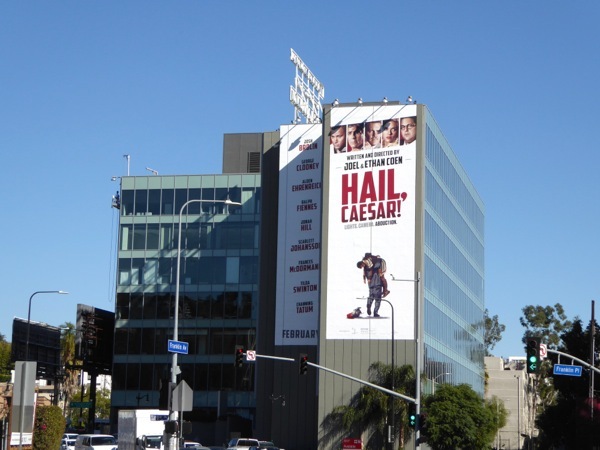 But don't be fooled by the film's title, or George Clooney's Roman Centurion costume, the movie is actually set within the picture studio world of 1950s Hollywood. 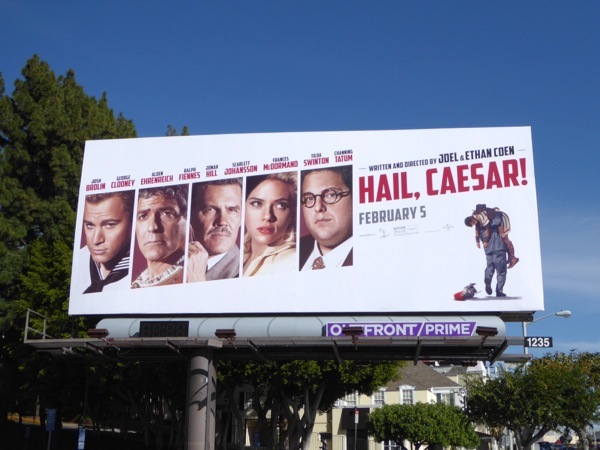 When Clooney's number one studio star, 'Baird Whitlock', is kidnapped by a mysterious group called 'The Future' during the filming of a movie set in Ancient Rome, Josh Brolin's Hollywood 'fixer' 'Eddie Mannix' has his work cut out to find him and save the day. 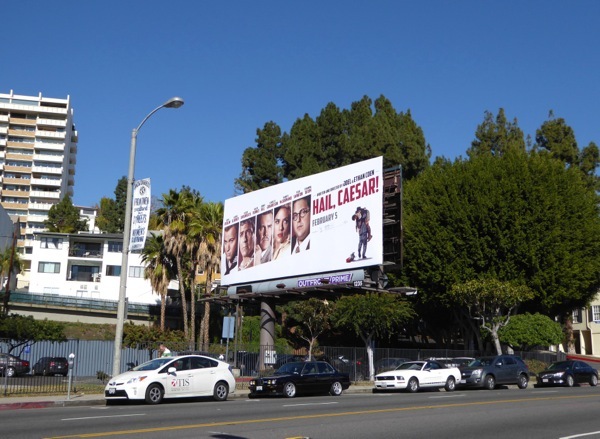 This theatrical release billboard for the comedy, which relies heavily on the names and faces of its all-star cast, was snapped along West Hollywood's Sunset Strip on January 21, 2016. 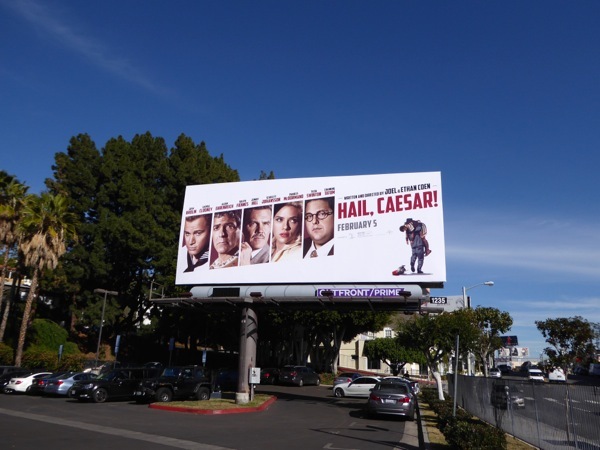 If you're a fan of the movie, be sure to also check out these original costumes from Hail, Caesar! on display. 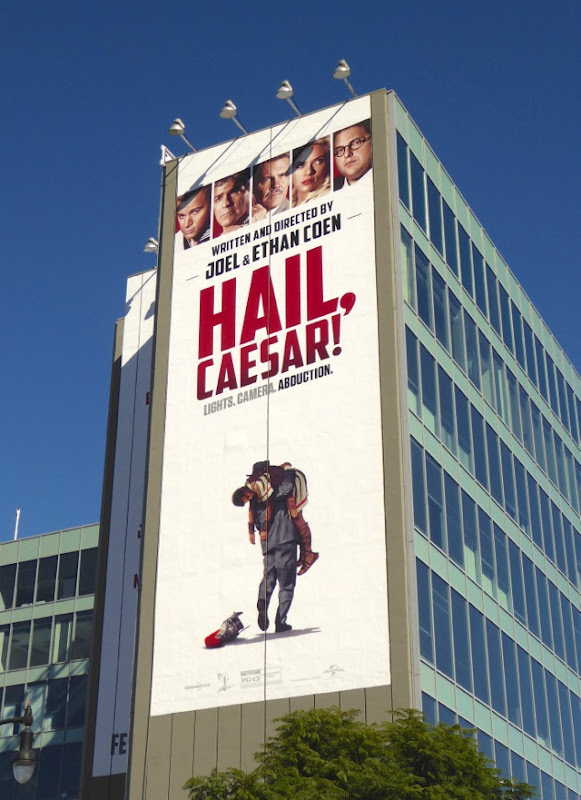 Only time will tell if the latest kooky Coen Brothers cinematic outing will live up to the likes of previous films like Fargo, The Big Lebowski, No Country for Old Men, O Brother, Where Art Thou?, and many more besides. UPDATED: At the weekend Hail, Caesar! 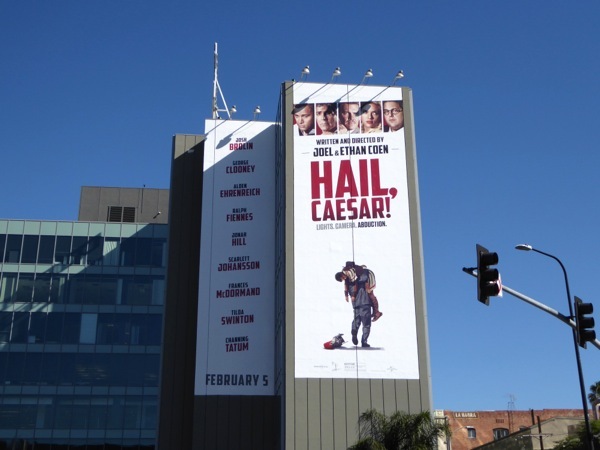 battled the twin menace of Super Bowl 50 and mediocre reviews, and not even giant-sized billboards could help with its middling box office. 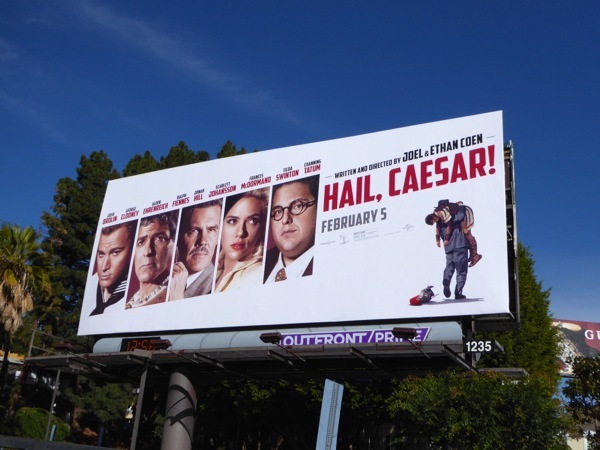 This super-sized vertical ad creative for the 50s Hollywood romp was photographed at the busy intersection of Highland and Franklin Avenues on February 8, 2016.